Pakistan holds parliamentary elections, and opposition parties are the overwhelming winners. President Pervez Musharraf does not lose his presidency, as he was reelected by the National Assembly several months earlier (see October 6, 2007). However, his party, Pakistan Muslim League-Q (PML-Q), loses control of the National Assembly, enabling the opposition parties to select their own prime minister a short time later. Much power will now shift to the position of prime minister, which had been completely overshadowed by Musharraf and his presidency since he took power in a coup in 1999 (see October 12, 1999). The Pakistan People’s Party (PPP) wins 120 seats. The PPP was led by Benazir Bhutto until her recent assassination, and is now led by her husband, Asif Ali Zardari. The Pakistan Muslim League-N (PML-N), the party led by former primer minister Nawaz Sharif, gets 90. Musharraf’s PML-Q only wins 51 seats. Surprisingly, the Islamic parties are almost completely wiped out. The alliance of Islamic parties, the Muttahida Majlis-e-Amal (MMA), did well and won two provincial elections in the last election in 2002, but this time it only wins six seats. A secular and moderate party, the Awami National Party, wins in the North-West Frontier Province, taking control from the MMA and forming the new provincial government there. No single party holds a majority, but the PPP immediately announces a coalition with Sharif’s PML-N party, shutting Musharraf’s PML-Q party out. Musharraf once had 80 percent popularity ratings in polls, but after many recent controversial moves, including declaring a state of emergency for over a month to stay in power (see November 3-December 15, 2007), his popularity rating is down to about 20 percent. [Rashid, 2008, pp. 390-391] One month later, the coalition selects a relatively unknown figure, Yousaf Raza Gillani, to be the new prime minister (see March 22-25, 2008). Attorney General Michael Mukasey and Director of National Intelligence Michael McConnell write to Silvestre Reyes, the Democratic chairman of the House Intelligence Committee, about their desire to see the Protect America Act renewed. In the letter, they mention the failure to exploit NSA intercepts of calls between the 9/11 hijackers in the US and al-Qaeda’s main global communications hub, which apparently had the potential to thwart the 9/11 plot (see Early 2000-Summer 2001). They write: “[O]ne of the September 11th hijackers communicated with a known overseas terrorist facility while he was living in the United States. Because that collection was conducted under Executive Order 12333, the intelligence community could not identify the domestic end of the communication prior to September 11, 2001, when it could have stopped that attack.” [US Department of Justice and Office of the Director of National Intelligence, 2/28/2008 ] Executive Order 12333 became law in 1981 and governed general activities by the US intelligence community. [US President, 12/4/1981] The order did allow the NSA to disseminate information about US persons to law enforcement officials in the event of an impending terrorist act. [US Congress: House Permanent Select Committee on Intelligence, 4/12/2000] The letter does not give more detailed reasons why Mukasey and McConnell think the NSA could not have traced the calls and informed the FBI of the two hijackers’ presence in the US (see (Spring 2000)). [US Department of Justice and Office of the Director of National Intelligence, 2/28/2008 ] Similar incorrect statements have been made by numerous intelligence officials since December 2005, when the NSA’s warrantless wiretapping program was revealed (see December 17, 2005). Category Tags: Yemeni Militant Collusion, "Lackawanna Six"
The Washington Post reports that US intelligence has finally determined that Anwar al-Awlaki is linked to al-Qaeda. Al-Awlaki was an imam at two different mosques attended by hijackers Nawaf Alhazmi, Khalid Almihdhar, and Hani Hanjour, and he has been suspected of assisting the 9/11 plot. An anonymous US counterterrorism official tells the Post, “There is good reason to believe Anwar al-Awlaki has been involved in very serious terrorist activities since leaving the United States [after 9/11], including plotting attacks against America and our allies.” However, the US apparently did not ask Yemen to extradite him when he was arrested there in 2006, because there was no pending legal case against him. He continues to reside in Yemen and apparently still has not been charged with any crime. [Washington Post, 2/27/2008] In December 2007, just two months before this article, the US approved the release of al-Awlaki in Yemen, apparently because there still was no pending legal case against him (see Early September 2006-December 2007). He also does not appear to be on any public wanted list. In 2002, US News and World Report reported, “Once thought nearly impossible to penetrate, al-Qaeda is proving no tougher a target than the KGB or the Mafia—closed societies that took the US government years to get inside.” An unnamed US intelligence official said: “We’re getting names, the different camps they trained at, the hierarchy, the infighting. 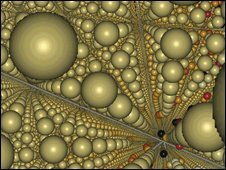 It’s very promising” (see September 22, 2002). 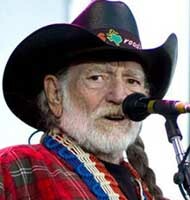 In 2004, author Ronald Kessler wrote, “Often, the CIA used operatives from Arab intelligence services like those of Jordan, Syria, Egypt, and other countries to infiltrate bin Laden’s organization.” He quoted a longtime CIA officer who said, “Egyptians, Jordanians, [and] Palestinians penetrated the bin Laden organization for us. It’s B.S. that we didn’t” (see Before September 11, 2001). In 2006, journalist Ron Suskind reported that by late 2002, the CIA had developed “a source from within Pakistan who was tied tightly into al-Qaeda management.” He also noted that other informants had been recruited since 9/11, and commented, “It has been generally acknowledged that the United States does not have any significant human sources… inside al-Qaeda. That is not true” (see Late 2002). In a 2007 book, former CIA Director George Tenet claimed that the CIA had over 100 assets in Afghanistan by 9/11 (see Before September 11, 2001). He also claimed that “a group of assets from a Middle Eastern service” sharing information with the CIA penetrated al-Qaeda, and some of them penetrated al-Qaeda camps in Afghanistan before 9/11 (see Early September 2001). In February 2008, the New York Times reported that French intelligence had an informant that penetrated al-Qaeda’s safe haven in Pakistan’s tribal region (see Late January 2008). Al-Qaeda second in command Ayman al-Zawahiri issues a 90-minute audiotape with the first part of responses to questions solicited from the public and journalists (see December 19, 2007). In the replies, he rejects criticism of attacks by al-Qaeda’s followers that have killed thousands of people, maintaining al-Qaeda does not kill innocent people. “We haven’t killed the innocents, not in Baghdad, nor in Morocco, nor in Algeria, nor anywhere else,” says al-Zawahiri. “If there is any innocent who was killed in the mujahedeen’s operations, then it was either an unintentional error or out of necessity.” [Associated Press, 4/2/2008] The second part of the responses will be issued later in the month (see April 17, 2008). Darrell Issa. [Source: Washington Post]Congressman Darrell Issa (R-CA) says during a House subcommittee meeting that he does not understand why the federal government should pay any more money to assist 9/11 emergency responders who have become ill after working at Ground Zero. Hundreds of firefighters, police officers, and paramedics have become ill, some terminally so, from exposure to smoke and toxins released in the collapse of the World Trade Center; the subcommittee is considering whether to reinstate federal funding for the 9/11 victims’ fund. Minutes after a retired New York City police officer, Michael Valentin, speaks of the serious health problems he has suffered since responding to the attacks, Issa says: “I have to ask why… the firefighters who went there and everyone in the City of New York needs to come to the federal government… How much money has the federal government put out post-9/11, including the buckets of $10 and $20 billion we just threw at the State and the City of New York versus how much has been paid out by the City and the State of New York?… It’s very simple: I can’t vote for additional money for New York if I can’t see why it would be appropriate to do this every single time a similar situation happens, which quite frankly includes any urban terrorist. It doesn’t have to be somebody from al-Qaeda. It can be someone who decides that they don’t like animal testing at one of our pharmaceutical facilities.” The attacks on the World Trade Center did not involve a dirty bomb or chemical weapons, Issa notes. “It simply was an aircraft, residue of the aircraft and residue of the materials used to build this building,” he adds. Issa’s colleague, Anthony Weiner (D-NY), is visibly enraged at Issa’s comments, replying, “The notion that this is the City of New York asking for more money because we were the point of attack on this country is absurd and insulting…. There are people every single day, bit by bit by bit, who are dying from that attack.” [Newsday, 4/1/2008; New York Post, 4/2/2008] A day later, Issa will retreat from the harshest of his comments after enduring a withering barrage of criticism (see April 3, 2008). Representative Darrell Issa (R-CA) tries to back away from his comments from the day before, where he disparaged New York City first responders who are now suffering long-term disabilities and illnesses stemming from the 9/11 attacks (see April 2, 2008). The theory that Israel carried out the September 11 attacks is false and was started by Iran and its proxy Hezbollah, through the Al-Manar television station. “The purpose of this lie is clear—[to suggest] that there are no heroes among the Sunnis who can hurt America as no [one] else did in history. Iranian media snapped up this lie and repeated it,” he says. “Iran’s aim here is also clear—to cover up its involvement with America in invading the homes of Muslims in Afghanistan and Iraq.” In recent audio recordings, al-Zawahiri has accused Iran of seeking to extend its power in the Middle East, particularly in Iraq and through Hezbollah in Lebanon. The insurgent umbrella group Islamic Nation of Iraq led by al-Qaeda is “the primary force opposing the crusaders and challenging Iranian ambitions” in Iraq. The Taliban have taken over 95 percent of Afghanistan and are sweeping Pakistan as well. “The crusaders and their agents in Pakistan and Afghanistan are starting to fall,” al-Zawahiri adds. Newsweek reports that the Justice Department’s criminal investigation into the CIA’s destruction of video of the torture of al-Qaeda leaders Abu Zubaida and Abd al-Rahim al-Nashiri is continuing, but proceeding slowly. Federal prosecutor John Durham has recently filed a federal court affidavit that states he is examining whether anyone “obstructed justice, made false statements, or acted in contempt of court or Congress in connection with the destruction of the videotapes.” He is specifically attempting to determine if the destruction violated any judge’s order. But progress is slow, and the investigation is likely to take six months or more, which means any criminal charges will probably come after the November 2008 presidential elections. Two sources close to former intelligence officials who are potential key witnesses in the case say these officials have not been summoned to give grand jury testimony. One of them has not even been questioned by the FBI yet. [Newsweek, 6/28/2008] Attorney General Michael Mukasey appointed Durham to head the investigation in January 2008 (see January 2, 2008). Sherry Rehman, Pakistan’s information minister, admits to journalists that the ISI, Pakistan’s intelligence agency, still contains pro-Taliban operatives. 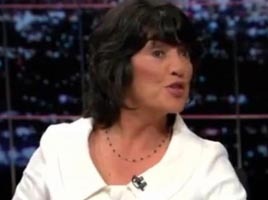 She says, “We need to identify these people and weed them out.” However, she later changes her statement, claiming that the problems were in the past and there will be no purge. [London Times, 8/3/2008] Her comment comes right as US intelligence accuses the ISI of involvement in a recent bombing of the Indian embassy in Afghanistan (see July 7, 2008 and August 1, 2008). The New York Times reports that US intelligence agencies have concluded that the ISI, Pakistan’s intelligence agency, helped plan the July 7, 2008, bombing of India’s embassy in Kabul, Afghanistan. The attack was initially blamed on al-Qaeda-linked Islamist militants, and 54 people were killed (see July 7, 2008). It is said US intelligence intercepted communications between ISI officers and militants who took part in the attack. The communications were intercepted before the bombing, but apparently were not specific enough to stop the attack. Anonymous US officials would not specifically tell the Times what kind of assistance the ISI gave the bombers. However, it was noted that the ISI officers involved were not renegades, suggesting their actions could have been authorized by superiors. [New York Times, 8/1/2008] The US also claims to have arrested an ISI officer inside Afghanistan, apparently for a role in the attack, but who this person is and what their role exactly allegedly was remains unclear. 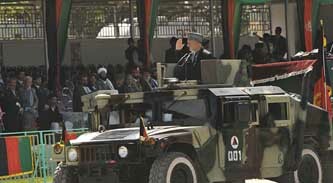 India and Pakistan have been traditional enemies, and Pakistan is concerned about India’s influence in Afghanistan. Many Western intelligence officials have long suspected that the ISI gets aid from the US and its allies and then uses this support to help the militants the US is fighting. However, solid proof has been hard to find. However, one British official tells the London Times, “The Indian embassy bombing seems to have finally provided it. This is the smoking gun we’ve all been looking for.” [London Times, 8/3/2008] One State Department official similarly says of the bombing evidence, “It confirmed some suspicions that I think were widely held. It was sort of this ‘a-ha’ moment. There was a sense that there was finally direct proof.” US officials believe that the embassy bombing was probably carried out by members of a network led by Jalaluddin Haqqani, who in turn has close alliances with al-Qaeda and the Taliban. US officials also say there is new evidence that ISI officials are increasingly providing militants with details about the US military campaign against them. In some cases, this has allowed militants to avoid US missile strikes in Pakistan. [New York Times, 8/1/2008] Several days before these accusations against the ISI were leaked to the press, British and US officials privately confronted Pakistani officials about the charges. President Bush even directly threatened Pakistani Prime Minister Yousaf Raza Gillani with serious consequences if another attack were linked to the ISI (see July 28, 2008). Pages from two passports seized in the raid. Both show pictures of Fazul but have different names. [Source: East African Standard]An al-Qaeda leader named Fazul Abdullah Mohammed, (a.k.a. Haroun Fazul), narrowly escapes capture in Kenya. 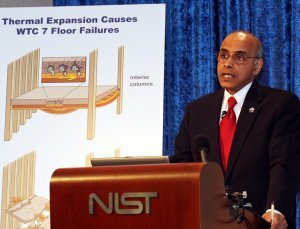 The US government claims that Fazul had important roles in the 1998 embassy bombings in Kenya and Tanzania (see 10:35-10:39 a.m., August 7, 1998) and the 2002 hotel bombing in Mombasa, Kenya (see November 28, 2002). Fazul was indicted for the embassy bombings before 9/11, and there is a $5 million reward for him. On August 2, 2008, Kenyan police raid a house in Malindi, a town on Kenya’s coast. 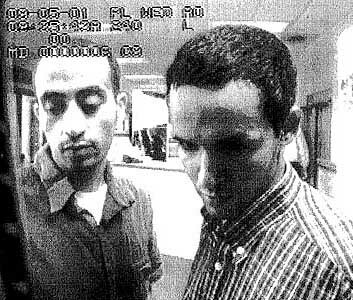 Two passports bearing Fazul’s picture but different names are found, as well as his laptop computer. A Kenyan newspaper reports that a local police officer may have tipped off Fazul about the raid minutes before it took place. 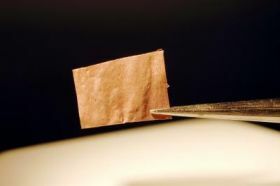 A half-eaten meal is discovered in the house, and the television is still on, leading police to believe that he ran out of the house just before they arrived. Three Kenyans are arrested and charged with helping to hide him. He reportedly narrowly escaped a US air strike in Somalia in 2007 (see December 24, 2006-January 2007), as well as a police raid in Kenya in 2003. [CNN, 8/4/2008; East African Standard, 8/5/2008] He will be killed in Somalia in 2011 (see June 10, 2011). The US dramatically increases the number of CIA drone attacks on Islamist militant targets in Pakistan, and no longer relies on permission from the Pakistani government before striking. 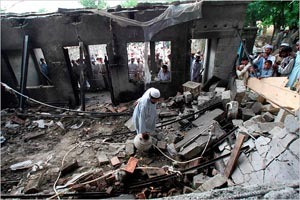 Bush administration officials had been increasingly concerned about al-Qaeda’s resurgence in Pakistan’s tribal region. A 2006 peace deal between Islamist militants and the Pakistani government gave al-Qaeda and other militant groups a chance to recover from earlier pressures (see September 5, 2006). However, the Bush administration had close ties with Pakistani President Pervez Musharraf, who did not want more aggressive US action. But Musharraf resigns on August 18, 2008 (see August 18, 2008), and within days, President Bush signs a secret new policy. 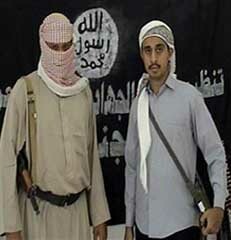 Ahmed Alghamdi in his martyr video. [Source: Public domain]Al-Qaeda releases a martyr video of 9/11 hijacker Ahmed Alghamdi. In the ten-minute video, in Arabic with English subtitles, Alghamdi says, “There are many proofs which clarify and encourage martyrdom operations. They are one of the ways of massacring the enemies of Allah, so you must carry them out.” The video was most likely recorded in Afghanistan in March 2001, at the same time most of the other hijackers recorded martyr videos (see (December 2000-March 2001)). This is the seventh one released. 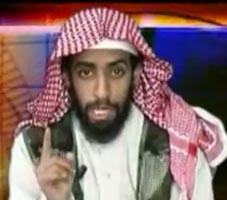 [Sun, 9/22/2008] Alghamdi’s speech is part of a 90-minute video featuring speeches by al-Qaeda second-in-command Ayman al-Zawahiri and others. Al-Qaeda promised through the Internet to release the video in time for the 9/11 anniversary, as it did with other 9/11 hijacker videos each year, but the video appears one week late. Some counterterrorism experts say the delay could be a sign that al-Qaeda’s propaganda efforts are faltering. [Associated Press, 9/19/2008; Sun-Herald (Sydney), 9/21/2008] Al-Qaeda will not release any hijacker videos in 2009 or 2010. ISI Director Nadeem Taj is replaced by Ahmad Shuja Pasha. [Daily Times (Lahore), 9/30/2008] One day ago, it was reported that the US was intensely pressuring Taj and two of his assistants to resign from the ISI, Pakistan’s intelligence agency, because of alleged “double-dealing” with militants. Taj became ISI head only a year ago (see 2007). [Australian, 9/29/2008] In March 2009, the New York Times will report that shortly after Asif Ali Zardari became president of Pakistan in September 2008 (see September 9, 2008), he faced accusations by the US that the ISI helped the militants bomb the Indian embassy in Kabul, Afghanistan (see July 7, 2008 and July 28, 2008). Zardari promised that the ISI would be “handled” and anyone working with militants would be fired. This apparently led to the replacement of Taj and his assistants. The Indian embassy bombing occurred during Taj’s brief time as ISI director. However, the Times will also report that many US and even Pakistani officials have since complained that the ISI’s support for militants remains as strong as ever (see March 26, 2009). [New York Times, 3/26/2009] In October 2001, the US also successfully pressured Pakistan to replace its ISI director and several others because of their support for Islamist militants, only to see the replacements continue the same policy of supporting militants (see October 8, 2001). 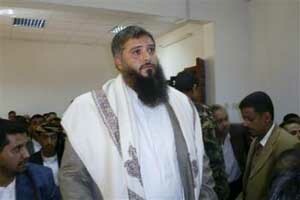 A CIA drone kills al-Qaeda leader Khalid Habib. 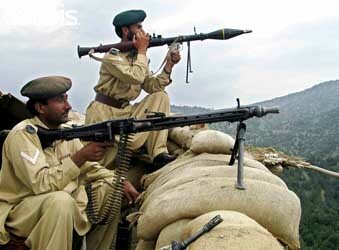 The drone strike hits the village of Taparghai, South Waziristan, in Pakistan’s tribal region. The CIA claims that Habib, an Egyptian, is the group’s fourth-ranking leader. Four people are said to be killed. 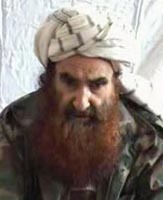 It is said Habib became al-Qaeda’s chief of operations for the tribal region after Abu Ubaida al-Masri died from hepatitis around January 2008. [New York Times, 10/17/2008; Asia Times, 10/29/2008] Little had been previously reported on Habib. But in early 2007, a New York Times article listed him as one of a handful of important new al-Qaeda leaders, and the FBI called him “one of the five or six most capable, most experienced terrorists in the world.” [CBS News, 3/15/2007; New York Times, 4/2/2007] A drone strike failed to kill Habib in 2006 (see 2006).